Simple and minimalist, without losing BOWN's signature quirkiness. 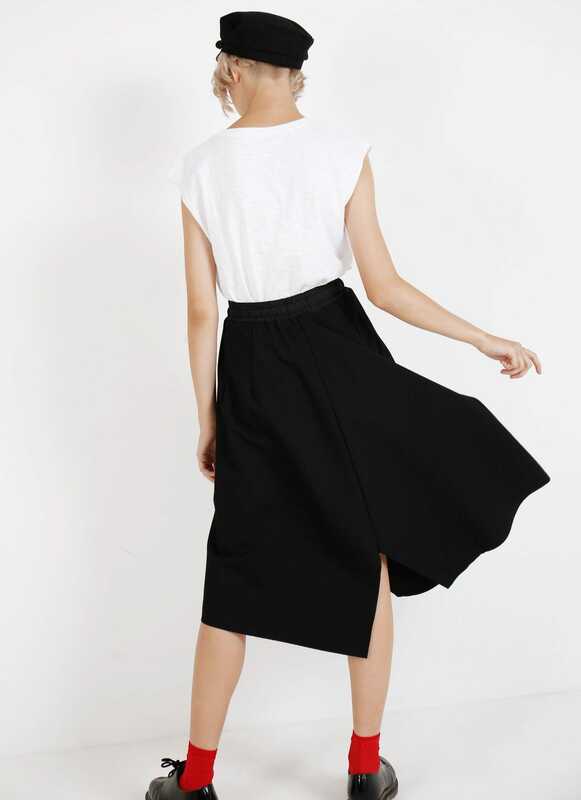 The Madison Skirt features a split on the front and back of the skirt, making the skirt a geometric, edgy fashion piece, adorned with strings ruched around the waist. Easy to pair with almost everything. Wear it with your coolest shoes!